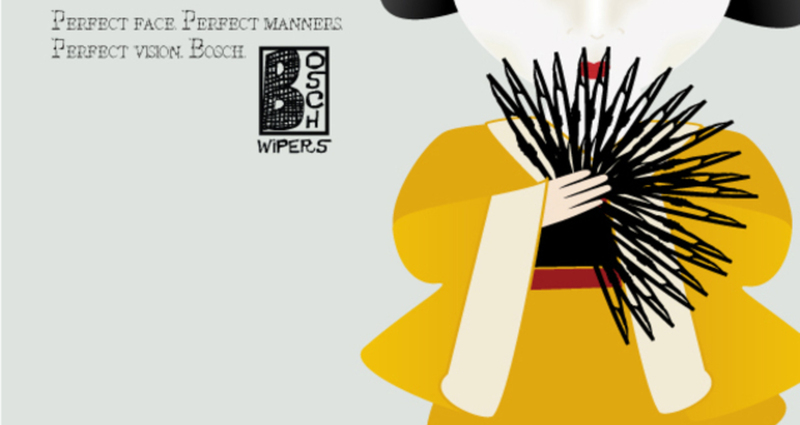 Perfect geisha is part of a campaign marketing winshield wipers to women. Afterall, women care just as much about their cars as men do. Why not take care of their cars with top-of-the-line parts? The objective behind this campaign is to get women excited about caring for their cars as much as they care for their own personal beauty. It's 2006. Women can take care of their own cars.